Choice of 6 outer shell colors include Sage Green, Coyote Brown, Navy Blue, Maroon, Grey, and Black. 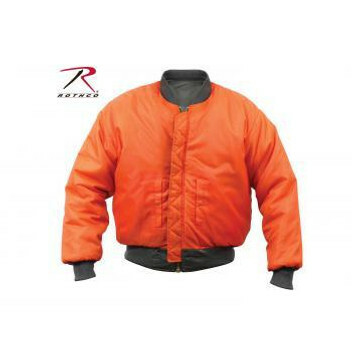 All are Reversable to Safety Orange just like the original military issue MA-1 Flight Jackets. Sizes XXS-5XL, not all colors are available in all sizes. See listings for more details.